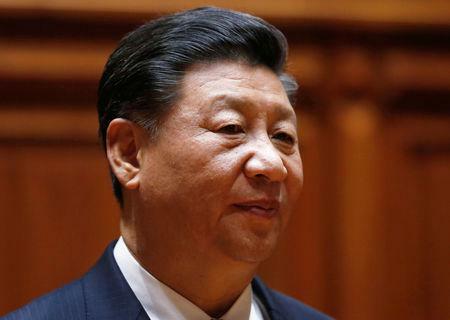 VATICAN CITY (Reuters) - A top Vatican official says China's government should not fear "distrust or hostility" from the Roman Catholic Church, writing amid speculation over whether President Xi Jinping will meet Pope Francis this week. Xi's visit, starting Thursday, is his first to Italy following a historic agreement in September between the Vatican and the Chinese government on the appointment of bishops in China. "The Holy See (nurtures) no distrust or hostility toward any country," Vatican Secretary of State Cardinal Pietro Parolin wrote in the introduction of a new book on China to be published on Tuesday. An advance copy of Parolin's comments in the book, "The Church in China - A Future Yet to be Written" - were made available to Reuters. Parolin, second only to the pope in the Vatican hierarchy, said the Catholic Church's work in China "cannot be separated from a stance of respect, esteem, and trust toward the Chinese people and their legitimate state authorities." This appeared to be another attempt by the Vatican to allay Beijing's concerns. Parolin wrote that the previously "inextricable knots" in relations between China and the Vatican could be untied through a new, unified approach involving a mix of "theology, law, pastoral work, and even diplomacy." It is routine for heads of state and government visiting Italy to also meet the pope. A Vatican source said it could be inserted into Xi's schedule "at the last minute". A Vatican spokesman said it is not on the pope's schedule. Speaking in Beijing on Monday, Chinese Foreign Ministry spokesman Geng Shuang said he was unaware of any plans for Xi to meet the Pope, but said China is sincere about wanting to improve ties with the Vatican and has made relentless efforts to this end. 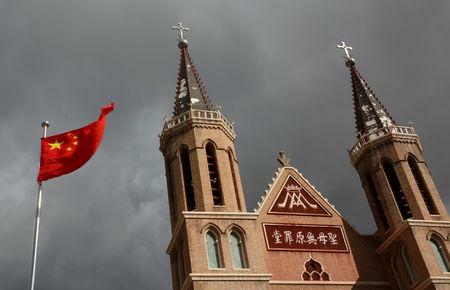 The September deal, in the making for more than 10 years, gives the Vatican a long-sought say in the choice of bishops in China. Critics, particularly conservative Catholics, have labeled it a sellout to the Communist government. 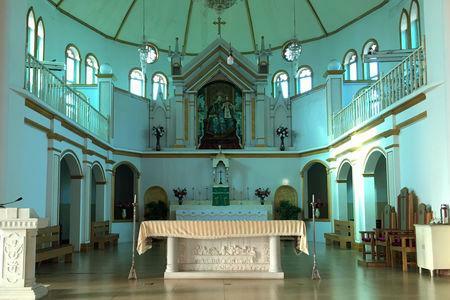 China's approximately 12 million Catholics have been split between an underground Church swearing loyalty to the Vatican and the state-supervised Catholic Patriotic Association. Now both sides recognize the pope. Many believe the September deal is a precursor to a resumption of diplomatic ties with Beijing. That would mean severing relations with Taiwan, which Beijing regards as a renegade province. The Vatican is the self-ruled island's last remaining diplomatic ally in Europe.